Northern Colorado is bursting at the seams with breweries! NoCo has nearly a third of the existing breweries, micro-breweries, cideries, brewpubs and nano-breweries in the state and many more are still in development. The following list is just a taste of what will be coming within the next year or two to the Northern Colorado craft beer and hard cider scene. This list will track upcoming breweries in Larimer, Logan, Weld and Boulder counties only. The rest of the state is exploding with new breweries as well but are too numerous to track them in one location! If you know of any upcoming breweries in NoCo not on this list please send a message via the Contact page. - 6th Element Brewing Company - Longmont, CO - in the planning stage. - Adventures' Craft Brewing - 1355 Bear Mountain Dr, Boulder, CO 80302. (720) 633-0611. Facebook - Scouting final location - Targeting late Summer 2016 for building. - Amalgam Brewing - 101 2nd Ave, Niwot, CO 80544 - same address as Powder Keg Brewing Co - amalgambrewing.com - @AmalgamBrewing Facebook - @AmalgamBeer Twitter - collaboration brewing now - 1st beer debuts August 20, 2016 - will expand to a larger place in future (November 2016). - Backstop Brewing - Longmont, CO - (303) 521-8350 - Facebook - co-op brewery with capacity to brew with other breweries and share a larger taproom in a place called Brewery Row. In the planning stage. - Beyond The Mountain Brewing - Boulder, CO - in the planning stage. - Blue Feesh Brewery - Longmont, CO - www.bluefeeshbrewery.com (reserved) - in the planning stage. - Bootstrap Brewing Company 2nd location - 142 S Pratt, Longmont, CO - 14,000 sq. ft space with production and tasting room. In the planning stage - Targeting March 2017 opening. - Cellar West Artisan Ales - 1001 Lee Hill Drive #10, Boulder, CO 80302 - (262) 719-8795 - Targeting November 2016 opening - Zach Nichols (founder) - www.cellarwest.com. - Double Zero Brewing Company - Longmont, CO - No location yet - Brewmaster Cary Holt, Asst. Brewer Tory Holt, Apprentice Brewer Amanda Colton - Facebook In the planning stage. - Gunbarrel Brewing Company - 7088 Winchester Circle, Boulder, CO 80301 - 20,000 sq. ft building - 10 bbl brewing system - (800) 803-5732 - James Fox (co-owner/brewmaster) & Marie Fox (co-owner/sales & marketing) - Email: info@gunbarrelbrewing.com - www.gunbarrelbrewing.com - Targeting March 2017 opening. - Kettle and Spoke Brewery - 2500 47th Street, Unit 12, Boulder, CO 80301 - @KettleandSpoke Facebook / Twitter - obtaining licenses now - Planning for November 2016 opening. - LoCo Brewing - 309 Atwood St, Longmont, CO 80501 - Rene & Paul Mangan owners - brewery & cooking studio - in planning stage - Targeting 2017/2018 opening. - Lone Barrel Brewing - Northern Colorado area (was Erie) - Facebook - Mark & Angela Spaulding - Email: brewer@lonebarrelbrewing.com - in Planning stage. - Mountain Cowboy Brewing Company - 206 Fifth St, Frederick, CO - (303) 726-9288 - Facebook @mountaincowboybrewing - Planning 2017/2018 opening. - Open Door Brewing Company (Taproom) - 1630 A 30th St, Ste 401, Boulder, CO - www.opendoorbrewco.com - existing production brewery looking to build a taproom - possible early 2017 opening - Billy McDivitt, Mike Badaracca, Andy Riedel owners. - Primitive Beer - 2025 Ionosphere St, Longmont, CO 80504 - primitive.beer - under construction - Email: brboldt@gmail.com - targeting Fall 2017 opening - Facebook @Primitivebeer. - Raices Brewing Company - Boulder, CO - (202) 423-7060 - www.raicesbrewing.com - Facebook @RaicesBrewing - in the planning and funding stage. Latino owned microbrewery. - Sloth Brewing Company - Longmont, CO - Facebook - Email: slothbrewingcompany@gmail.com - In planning/fundraising phase. - Solution Craft - Longmont, CO 80501 - (303) 834-5622 - www.solutioncraftcoffeeandbeer.com - in planning stages. - Truant Brewing - Boulder, CO - (815) 353-9936 - truantbrewing.com - planning experimental ales & lagers, barrel-aged beers - project currently on hold - maybe indefinitely. - Upslope Brewing Company (new location) - 35th St & Valmont, Boulder, CO - all new 11,000 sq ft brewpub - experimental brewing, barrel-aging, restaurant - to replace Lee Hill location - Planned opening Fall 2017. - 40th Parallel Brewery - 1151 Eagle Drive, Loveland, CO 80538 - @40parallelbrew Twitter - @40thparallelbrewery Facebook - English-style ales - Coming in 2017. - Aggregate Brewing Company - Homebrewer with aspirations to open a local brewery. Planning homebrew tastings and eventually opening up a business. In the planning stage. @AggregateBrewing on Facebook. - Bad Hound Brewery - Loveland, CO - badhoundbrewery.com - in the planning stage. - Brewpub (yet to be named) in Harmony Commons project (scheduled to be completed by 2018). - CSU Brewery Colorado State University @ Lory Student Center - Ft. Collins, CO - a brewery / classroom as part of the fermentation science curriculum. Part of a multi-million dollar renovation of the student center. Planning a March 2017 opening. Beers to be served in the Ramskeller Pub. - Cogs Brewing - Loveland, CO - @BrewPunksBrewingCo Facebook - (817) 939-4210 - taproom-centric micro brewery - in the planning stage. 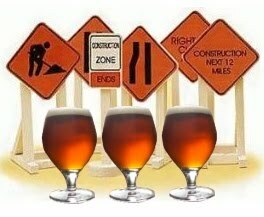 - DC Oakes Brewhouse & Eatery - at Harmony Commons - Fort Collins, CO - in planning stage. - Freedonia Brewing - 208 Remington Street, Fort Collins, CO 80524 - Ralf Kracke-Berndorff owner - German-style lagers - freedoniabrewing.com - in the building phase - Target opening 2017/2018. - Gilded Goat Brewing Company - 3500 S. College Ave, Unit 194, Fort Collins, CO 80525 - (970) 205-9211 - www.gildedgoatbrewing.com - Email: Charlie Hoxmeier = brewmaster@gildedgoatbrewing.com - Planning December 2016 Opening. - Laughing Leprechaun Meadery - 451 N Railroad Ave - Loveland, CO 80537 - (970) 541-2500 - @LaughingLeprechaunMeadery Facebook - Guy McConnell - Target opening November 2016. - Lemay Avenue Craft Brewery & Self Storage - near corner of Lemay Ave. & Buckingham St - Ft. Collins, CO - Stan Scott owner. in the planning stage. - Mash Lab Brewing - 4395 Highland Meadows Pkwy, Windsor, CO 80550 - (970) 685-0334 - Planning November 2016 opening. - Facebook @mashlabbrewing. - Nightmare Brewing Company - Loveland, CO - www.nightmarebrewingco.com (reserved) - in the planning stage. - Northern Colorado Brewing Company - University of Northern Colorado campus - Greeley, CO - Targeting late 2016 opening. Part of brewing science classes - Prof. Michael Mosher PhD heading operation. - Nostalgic Brewing Company - scouting locations in Johnstown, CO - (720) 438-8366 - www.nostalgicbrewingcompany.com - Targeting possible 2018 opening. Hailey Hilliard, Nick Goddard & Eric Palmer. - Oak Mast Ale Works - 901 Broad St, Milliken, CO 80543 - (970) 402-9967 - Target opening unknown. - Parts And Labor Brewing Company - Sterling, CO 80751 - (970) 222-8221 - partsandlaborbrewing.com (reserved) - In the planning stage. - Rapparee Brewing Company - Fort Collins, CO - Facebook - Homebrewers in the planning stages. - Rocky Mountain Taphouse, LLC - 6288 W 10th St #101, Greeley, CO 80634 - (970) 302-6551 - www.rockymountaintaphouse.co - planning December 2016 opening. - Storytime Brewing - Loveland/Ft Collins, CO - www.storytimebrewing.com - @storytimebrewing Facebook - in the planning stage. - Veteran Brothers Brewing Company - 21 N Parish St, Johnstown, CO 80534 - www.veteranbrosbrewing.com - @veteranbros Facebook - beer and pizza - planning October 2016 opening.